6. Prozac Monologues: Oh, My Aching Neurons! And then there was Boston. If you are exhausted, you don't need to blame your meds. Your mind has been stretched to the limit. I don't know if this is related, but it sure seems timely. One of my posts has gone viral - well, within the context of Prozac Monologues viral. I have been working up to over 100 hits a day. Nice progress -- thank you to all who have helped spread the word. Suddenly one day this week, my hits jumped to 530. 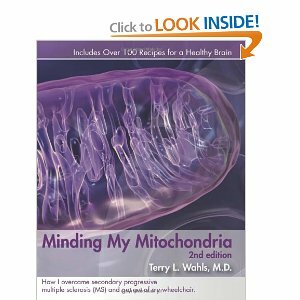 Almost all of them were one post, a review of Terry Wahl's book, Minding My Mitochondria. Wahls' book is about brain cell health, and how what we eat sustains or starves our brain cells -- in particular, mitochondria, the little power plants inside our nuclei that turn what we eat into energy. Hence, the relevance to your current state of exhaustion. While Wahls' own story is about MS and her remarkable recovery, the information and the food plan applies to any chronic health issue that involves nerve cells which you may have or wish to avoid. Okay, I admit, I ate one of these this week, too. It was delicious. But it did not help. No, this is not your mother talking. This is brain science. Mitochondria, GABA/Glutamate, dendrites, adenosine tri-phosphate -- I had to look that one up. But if you can follow me when I talk brain science, you can follow Dr. Wahls. She writes for people who have the cognitive deficits caused by MS, and I wrote my review when I had the cognitive deficits caused by anxiety, bipolar, and the meds designed to treat them. So because my brain has been hitting a wall lately, and because the fates seem to have called it forth - by way of blogger stats - these ambling paragraphs are followed by a repost of said review. -- The original post has a testimonial from Dr. Wahls in the comments. Dr. Terry Wahls practices internal medicine and treats psychiatric patients at the VA in Iowa City Iowa. In the year 2000, she was diagnosed with relapsing-remitting Multiple Schlerosis. MS is an autoimmune inflammatory disease that damages the myelin (think, skin) of neurons, causing breaks in communication between the brain cells, neurotransmitter imbalances and cell death, with resulting physical and cognitive disabilities, including blindness, dizziness and pain. In its earlier relapsing-remitting stage, MS is treated with chemo and immune system suppressants. Dr. Wahls pursued the best and most aggressive treatment available. Nevertheless, in 2003 her MS had developed into the secondary progressive variety. At that stage, the treatment strategy is to slow the inexorable loss of function. She used canes to walk. Soon she was in a wheelchair almost all the time. Wahls is a doctor. She researched her condition. But there are no treatments to reverse the loss of function, not even any clinical trials available for her to join. So she went back to school, staying up at night after the rest of the family was in bed. She studied the basic science of her condition and similar ones, Parkinson's, Alzheimer's Huntington's. Then she designed her own treatment based on the basic science about why brain cells die. She experimented on herself, developed a diet regime, tested potential food sensitivities. She maintained. This is Dr. Wahls in June, 2007. She started working with a physical therapist to use neuro-muscular electrical stimulation, continued the diet modifications. And then she got out of her wheelchair. Over the course of that year, Wahls went from moving around on a scooter to walking with canes to riding a bicycle eighteen miles without assistance. This is Dr. Wahls in October, 2008. Today, Dr. Wahls is the one woman recovery movement for MS. She is doing what people with secondary progressive MS don't do. She is recovering. I don't have MS. I have another brain disease that began as remitting-recurring. I tried what treatments were available. My disease progressed to a chronic disabling condition. Boy, do I wish I had gone to medical school. It would be a lot easier to understand the research, figure out the basic science and develop a treatment plan that might make a difference for me. Is it any wonder I find Dr. Wahls' story riveting? I am glad I am not a one woman recovery movement for bipolar. There are lots of us who are not satisfied with the limited life that our meds give us. There are lots of us experimenting with our own treatment regimes, staying up nights reading the research, and learning from each other. It turns out Dr. Wahls has learned some things that may aid our recovery, too. All living things, including our bodies have tiny little maintenance workers inside our cells called mitochondria, which are busy supporting our cells doing the repair of the the wear-and-tear damage that naturally occurs each day. Our DNA provides the blueprint for all the proteins and other biological components that need to be replaced on a regular basis. If those little maintenance workers don't have all the proper nutrients, like amino acids, the correct minerals, and fatty acids, then they can't build according to the DNA blueprints. Those nutrients are the building blocks that mitochondria in our cells need to keep our bodies healthy. If those replacement molecules and structures get made incorrectly or not at all, our bodies begin to deteriorate. Okay, this may come as a surprise to you. But a long time ago these little critters (scientists call them organelles) swam inside the cells of living things. Mitochondria live in our cells, like we live on the earth. Except they are generally more useful to us than we are to the earth. Minding My Mitochondria tells the story of how Terry Wahls overcame secondary progressive multiple sclerosis (MS) and got out of [her] wheelchair. It is the story of what these little mitochondria critters do and what they need to do it well. Mitochondria are the power plants inside our cells. They take glucose molecules and convert them into adenosine tri-phosphate (ATP) -- think energy. Many other diseases like asthma, chronic obstructive lung disease, hypertension, coronary artery disease, depression, obesity, bipolar disorder, and diabetes have all been shown to become worse as a result of mitochondrial stress and eventual failure. Mitochondrial failure drives the development of diabetes, heart disease, lung disease, heartburn from stomach acidity, Alzheimer's, Parkinson's, many psychiatric disorders, and multiple schlerosis... Healthy cells are necessary to have healthy organs; healthy organs lead to healthier bodies and restored vitality. The cells with the greatest concentration of mitochondria are in the brain, because the brain uses enormous amounts of energy -- unless you're sitting on the sofa, in which case your brain powers down. So any of you readers who are concerned about the health of your brains, pay attention! Our mitochondria need co-factors to facilitate the reactions that turn glucose into energy. What are the co-factors? The micronutrients in our food. The Standard American Diet (SAD) is sorely missing in these micronutrients, making for sick mitochondria and resulting in a whole host of your favorite chronic diseases and mine. But you get these micronutrients simply by eating well. Dr. Wahls applied the science of cell biology to an eating plan that helped her and can help others ensure adequate nutrition for these little critters on whom our lives depend. So that is the basic message repeated over and over in each chapter of Minding My Mitochondria. (For readers with cognitive deficits and/or fatigue issues, the repetition is helpful.) You can eat your way to better health. The early chapters teach the basic biology of brain cells, how brain cells are wired to each other, the role of myelin (insulation of neurons -- the issue of MS), how neurons communicate with each other. Next Wahls describes how the chemical factory in our cells work, how cells get energy, and how mitochondria signal cells when to die or whether instead to become cancers. Wahls includes a chart of the micronutrients needed for cell health, good food sources of each, and 100 recipes using some of the foods that are not part of the SAD -- Standard American Diet. The typical message you hear is about what not to eat: salt, refined sugar, saturated fat. Yeah, yeah, we all know that. But it's only part of the problem. Remember, if you are eating the SAD, you are not only overweight. You are starving your mitochondria and yourself at the same time. That is the daily goal. Okay, if you are the average consumer, you eat three cups of fruits and veggies per day max. And you probably count peas. Let me break it to you -- peas are not a vegetable for the purposes of nutrition. Neither is the State of New York's state vegetable, corn. Corn, for God's sake. Peas and corn do not have the antioxidants or minerals you get from broccoli or spinach. Nutritionally, they are starch. But back to the goal. Note that word, goal. Work up to it, one cup at a time. Increase your daily fruit and vegetable intake, with the goal of 9 cups a day. 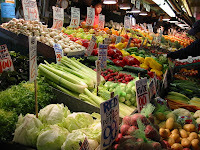 3 cups cruciferous vegetables, such as cabbage, kale, collards, broccoli, the onion family. 3 cups intensely colored fruits and vegetables, such as beets, berries, oranges, your reds, your oranges, blues and purples. There is more. But that's a start. Just do it. Just start. Today, eat a cup of cantalope for breakfast, a spinach salad for lunch, a cup of broccoli for supper, total of three. Tomorrow, total of four. Work up to two in each category. Get to three later. Just start. Wahls' dietary recommendations include mushrooms, nutritional yeast, and nuts or seeds every day if possible, seaweed, dried kelp, and/or brewer's yeast, and more foods rich in omega-3 fatty acids: green leaves and the animals that eat them (less of grain-fed beef), wild fish, eggs from chickens that eat flax or bugs, flax oil, plus organ meats once a week. The key balances addressed by the diet are GABA/glutamate and Omega 3/Omega 6 fatty acids. We're looking to decrease inflammation and reel in those nasty free radicals. You will learn lots about these balances in Minding My Mitochondria. Big Pharma is pursuing exactly these issues in search of the next new wonder drug. See my post from May 13, 2011, The Future is Bright -- For Whom? I will come back to this topic, comparing Wahls and Big Pharma, at a later date. Wahls includes in her program other self care recommendations that you have heard before, thirty minutes daily aerobic exercise to enhance serotonin and nerve growth factors, and thirty minutes brain exercises, puzzles, developing new cognitve and new physical skills to promote brain-derived neurotrophic factor production. Supplements do not play a major role in the Wahls program. While there is a mountain of evidence supporting her claims about the benefits of nutrients derived from food, it is not so clear that the body can use the nutrients in supplement form so well. One exception is Vitamin D. Vitamin D is free for the taking from sunshine. But now that we all use sunscreen, Vitamin D deficiency is the newest health crisis in America. Go figure. Parts of Minding My Mitochondria apply specifically to people with MS. Wahls' most dramatic recovery happened when she started using electrical stimulation. NMES is not a proven treatment for MS. Remember, there are no proven treatments for secondary progressive MS. 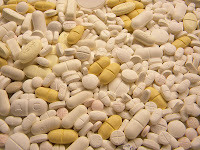 However, it is recommended to treat symptoms that people who have MS have. Wahls reviews the research behind it that led her to try her own experiment. Now she is recruiting subjects for her efforts to replicate her results in others, by combining NMES with the diet. So get real. If NMES reverses damage to nerve cells, why bother with the heretofore fruitless exercise of trying to get grownups to eat their veggies? It's easier to keep a drunk on the wagon than to change the food culture of the ever more obese Mc-Nited States of America. Besides, you can bill for NMES. One word. Synergy. Give the woman some credit. She tried it. When Wahls skips the electrical stimulation, she declines in function. When she travels and can't eat the way she recommends, her symptoms return. The different pieces of this program work together. Which makes sense when you look at it from the perspective of the cell. 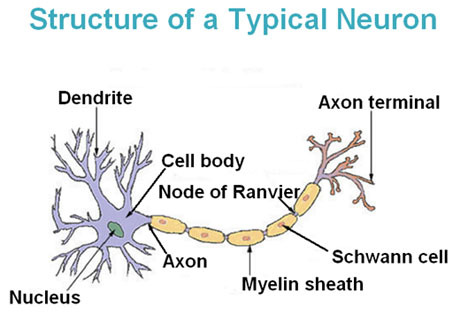 Our brain cells connect to each other through little arms called dendrites and axons. It is likely, given what the literature says about exercise and the brain, that my additional exercise and/or NMES caused my brain to make more neuro-trophins, or brain cell growth factors, and the brain cells then received signals to grow more dendrites and axons. That requires energy in the form of ATP and omega-3 fatty acids to build the myelin insulation around the new connections. It makes sense that improving how the mitochondria generate ATP molecules (energy) is synergistic with exercise. It is like adding an extra engine to your car. You have more energy and more stamina. The rate by which the brain cells respond to these messengers is likely therefore to be dependent, at least in part, on the availability of ATP generated in the mitochondria. A diet containing more B vitamins (particularly riboflavin and niacinamide) coupled with more ubiquinone, or co-enzyme Q, should make it easier for mitochondria to make ATP and get rid of toxins generated in the cells. That decreases the oxidative stress and makes for healthier mitochondria. If the mitochondria are healthier, the brain cells are healthier, and healthier brains are better able to respond to brain-growth factors formed in response to the higher level of physical activity. In other words, exercise (think of electrical stimulation as extreme exercise) makes the body produce more brain cell growth factors. The body is designed to repair itself. But to do the repair work, it needs the right material. The wrong material actually increases the damage. By contrast, good nutrition means that the mitochondria can do its job to produce energy, which can be used for repairing damaged brain cells. It's road repair season in Iowa. 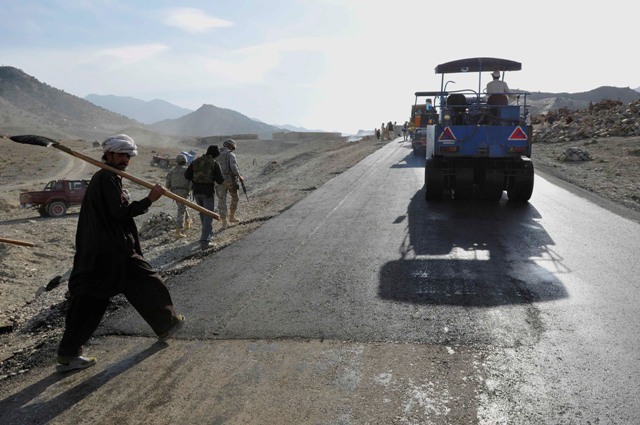 So here is synergy in road repair: We want the roads fixed fast. But there is no point in hiring more workers, unless you supply more asphalt. There is no point in bringing more asphalt to the site unless you have the workers to lay it down. The first sixty pages tell the story and provide the science behind it. 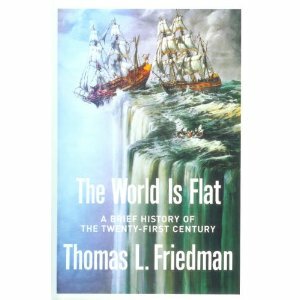 Wahls repeats concepts that may be new to the reader and uses real life analogies. So don't worry about the science if you are not a science type. She makes it understandable. Also included: menus and recipes; charts that list nutrients, their appropriate doses, good food sources, and their function in brain (including symptoms of variety of chronic conditions caused by an insufficient supply); a list of abbreviations used; daily log sheets to help you track your food consumption and other self help practices; graphics of detoxification pathways, with the nutrients and foods that support detox; the riff on conventional and functional medicine that inspired my last week's blogpost; a glossary of terms; and references for the research studies that support Wahls' ideas. Wahls needs more research subjects who have MS. If she can replicate her own results in others, she hopes to get funding for more work that will move forward the science about MS. The book includes her contact information. Some versions of the 2nd edition were published without an index. The one sold by Amazon does have the index, which is helpful if you want to look up something like aspartame, cognitive improvement, or cranberry chutney. The font used in Minding My Mitochondria is APHont, developed by the American Printing House for the blind, to enhance reading speed, comprehension and comfort. This accommodation for those who have MS and its vision difficulties makes the book easier to read and comprehend for people without vision difficulties, too. Mitochondria don't have MS, either. If they are malnourished, then their host (you, me) may have or be developing MS, or heart disease, lung disease, asthma, hypertension, depression, obesity, bipolar disorder, diabetes, Alzheimer's or Parkinson's instead -- all diseases in which sick mitochondria are implicated, all diseases for which your doctor has been telling you to eat better. The market is bullish on chronic health issues these days. 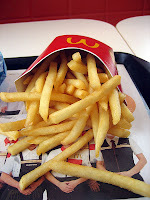 We already know this stuff, that the way we eat is making us sick. We read about this stuff in every magazine at every grocery checkout counter, where everybody is selling this week's magic berry or bean. What I didn't know before I heard Dr. Wahls lecture was how all these magazine articles fit together, how exercise and nutrition play off each other at the cellular level, and how I really can help my brain heal with a long term, systematic change in how I feed my brain cells. I will continue this ambling series on getting my brain back by exploring the realities of changing habits.